Ever since I bought an ice cream maker, I’ve been preoccupied with trying new flavors, which is inspiring me to get up and out early (ish) on the weekends to buy beautiful ingredients at local farmers’ markets. This Sunday, I headed to downtown Los Gatos to see what I could find. Lovely setting for a Sunday morning stroll through the stalls. It was a gorgeous, balmy morning, and the small market was crowded with fruits, vegetables, flowers, and happy samplers. 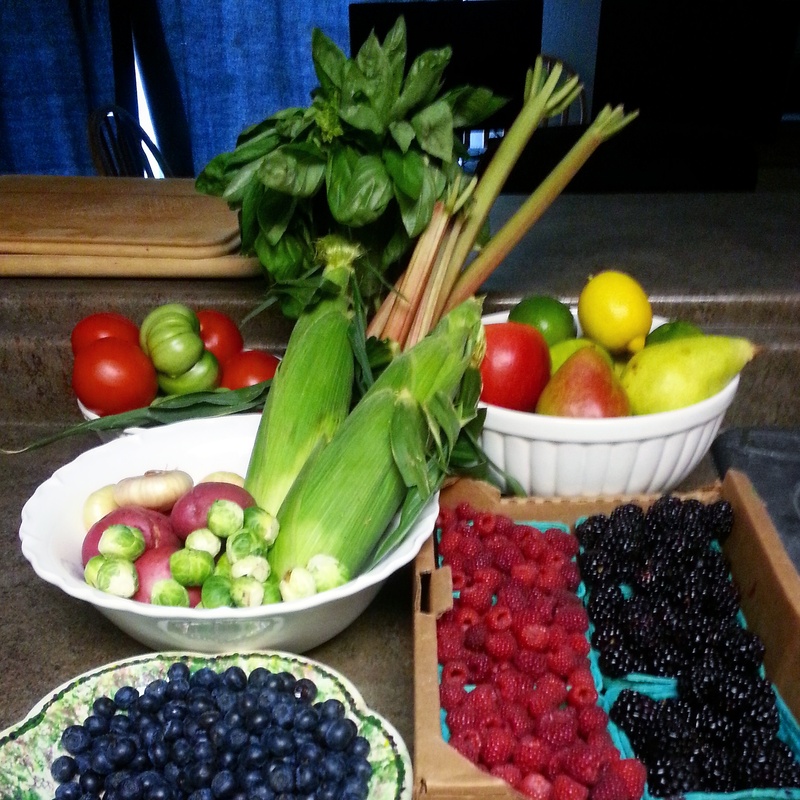 After walking through the market a couple of times, taking photos, tasting, chatting with vendors and other shoppers, I settled on raspberries, blackberries, sweet corn, brussels sprouts, pears, red and green tomatoes, new potatoes, basil, and rhubarb. It was starting to get too warm for me, so I headed to the crepe stall for a quick breakfast before my sunscreen expired. 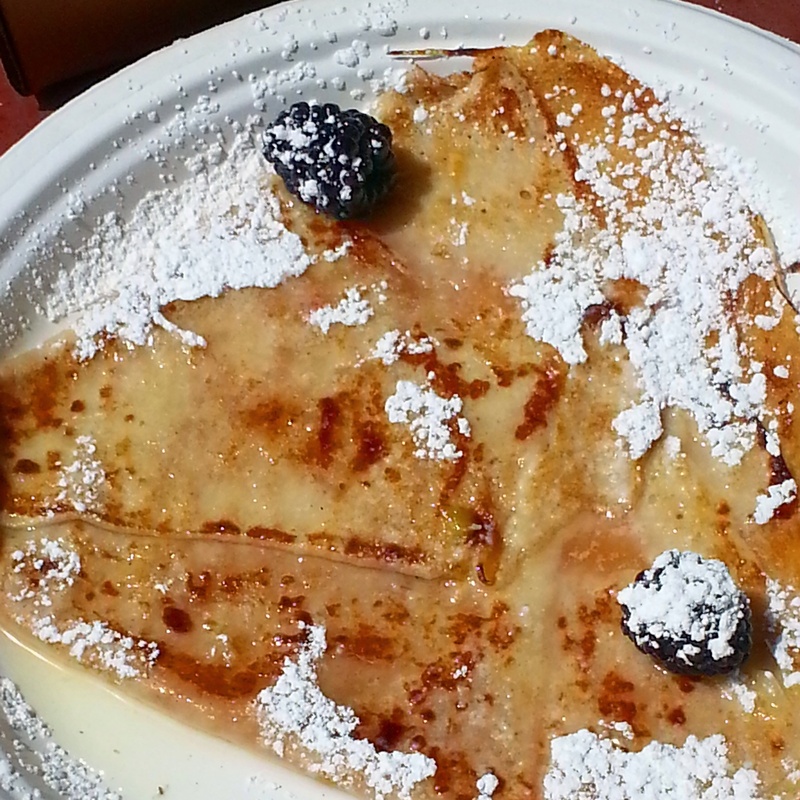 The menu was fairly extensive, but I was excited about the simple flavors of the sugar, butter, and lemon crepe. Although there was quite a line, only a few minutes later, I was watching my crepe being made on one of the five or six round, flat burners. I wish I liked cauliflower; these are so pretty!